Nasradin Abdusamad Ali was allegedly involved in a physical altercation with another student on the college campus on March 7. He is also accused of robbing a Langara student near a bus stop on East 53rd Avenue and Fleming Street. A man accused of arson at a South Vancouver college is facing two additional charges of robbery and assault. Twenty-three-year-old Nasradin Abdusamad Ali appeared in a Vancouver provincial court Friday morning. Ali , 23, was previously charged with one count of arson in relation to inhabited property and one count of possession of incendiary material at Langara College. He is accused of setting three incendiary devices at the school on April 1, two of which detonated and forced staff and students to evacuate. Friday morning, he appeared in a Vancouver Provincial Court Friday and Crown counsel Jonas Dow added two new counts of robbery and assault to the charges. Dow also asked the judge to approve a list of five people Ali can't contact. According to Vancouver police, Ali was allegedly involved in a physical altercation with another student on the college campus on March 7. This assault was not reported until after the April 1 incident, but police say an investigation led to an assault charge. On March 26, Ali allegedly robbed a Langara student near a bus stop on East 53rd Avenue and Fleming Street. Vancouver police say the robbery was reported to them on the day it happened, and detectives collected enough evidence to charge Ali with robbery. 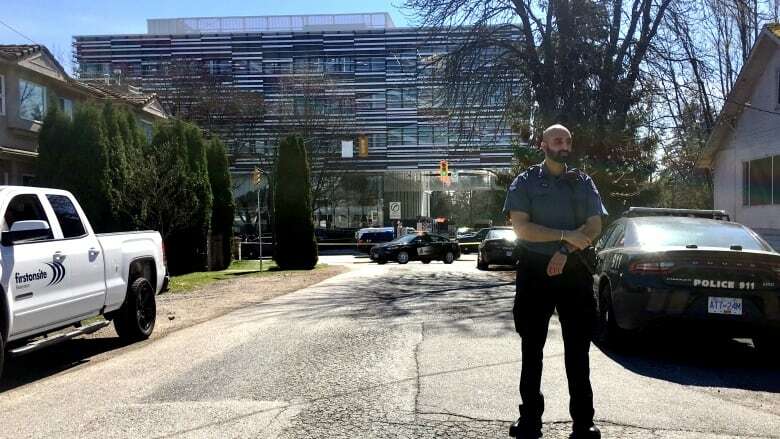 No one was hurt when two incendiary devices detonated at the college, which was forced to close as a result, earlier this week. Police say witnesses identified Ali who they believe planted the devices and left the building quickly. He was arrested by Metro Vancouver Transit Police in Surrey at 4 p.m. PT Monday, the same day the fires were set. Ali appeared confused in court Friday when his bail hearing was moved to April 10 and he urged the court to let him appear now. His family members, including his mother and brother, declined to comment outside the court.